At Next Level Chiropractic, our compassionate, caring team is ready to help you achieve your greatest potential for health! Discover what you’re capable of with natural, effective chiropractic care. We seek to help all ages enjoy more fulfilling, vibrant lives. You deserve the highest level of natural health care, delivered with honesty and integrity. 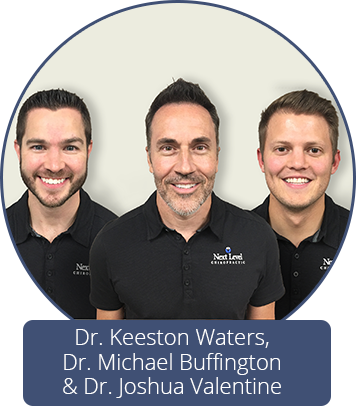 Rockwall Chiropractors, Dr. Michael Buffington, Dr. Keeston Waters and Dr. Joshua Valentine pride themselves on offering excellent care with a personal touch. We don’t just practice here; we live here and love being a part of our community. The Next Level Chiropractic team is here to assist you in achieving a more fulfilling life. Get Proactive About Your Health! All ages are welcome at our practice. We see babies, adults and grandparents alike, all experiencing different needs. 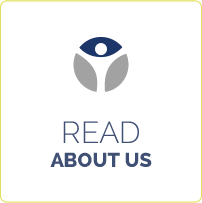 Though many people are driven to seek our help because of pain, we work to educate everyone on safeguarding their health in the long term with consistent care. Just as you visit the dentist for regular checkups, regular chiropractic visits can promote better function and overall health. With chiropractic care, you can determine the root of an issue rather than treating only the symptoms. Dr. Buffington, Dr. Waters and Dr. Valentine work to optimize your capacity for health, helping you to fulfill your greatest potential. We love seeing the changes made in our patients’ lives and seeing their level of health transform. 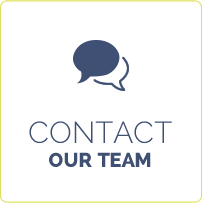 Our warm and friendly team is ready to welcome you, addressing any of your questions and putting you at ease. We’ll start with a thorough evaluation done by our Doctors. If we find that your issue isn’t appropriate for chiropractic care, we will refer you to the appropriate professional. We offer free consultations so that you can find out if we’re the right place for you. Contact us today to schedule your time! 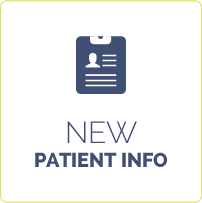 Insurance is accepted, and digital X-ray facilities are located on-site. Candy and Doctor Water were wonderful very welcoming and gave me great instructions on how to help with my lower back.pain. They are all great at Next Level Chiropractor. The staff was fantastic! After sharing my story of being in a roll over accident the staff did everything they could to assist me in finding the best ways to have my visit(s) paid for from our accident. Dr. Waters explained my x-rays thoroughly in a way I was able to understand. There is no place where you feel more welcome, optimistic and cared for than by Dr Buffington and staff! Great friendly staff and environment from the moment I walked in till the end of my visit! I came in with the idea of getting my daughters knee looked at. And after I saw what the Dr. did for my daughter I filled out the new patient papers and had him do an adjustment on me as well. 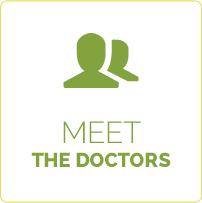 The Dr is knowledgeable, professional and likable. It doesn’t get any better than that! I’ve been a patient of Dr. Buffington since October of 1999. I now live an hour away and continue to make the trek to see him. Tried a local chiropractor a few times. He was fine, but it just wasn’t the same. Dr. Buffington and his staff have the absolute best practice of any doctor that I’ve ever been to. They are courteous, friendly, knowledgeable and always on time with no waiting. Other practices should be modeled after this practice. GREAT staff to work with! Very smooth process for my initial consultation and first treatment. Staff are very friendly and helpful. Thank you! Very impressed with the doctor and office staff. I feel confident I’m in good hands for chiropractic care. Very glad I chose this practice. Great place & great people to take care of you. Great staff, very welcoming and friendly. Doctor seems very competent and well trained. He recognized the experiences I have been feeling and seems eager to start resolving them. I have been skeptical but this office has worked wonders for my wife who could not get relief from several Neurologists and Neurosurgeons. By far the most professional and welcoming Chiropractic experience I’ve ever enjoyed! The staff is not only warm and helpful, but they are clearly seasoned professionals that take pride in their work, while Dr.’s Buffington and Waters are skilled champions in their science! If you want to get strong and healthy and stay strong and healthy, Next Level is the place to do it! They saw me as a first time patient with no appointment and told me I could come back anytime. Pain is often inconvenient, next level relief was immediate! Thanks! Candy is the perfect personality for 1st & last impressions! Great staff! The ladies were awesome. Look forward to being “cured”. Excited about what is to come! VERY INFORMATIVE! I was very impressed with everything on my first visit today. It was a very positive experience and I am hopeful that I will be able to get some relief. The most excellent care I’ve received!! I was very nervous about visiting a chiropractor for the first time, but I felt very comfortable at Next Level Chiropractic. I highly recommend them, I am feeling much better after just a few visits. This was the most pleasant experience I have ever had at any doctor ever. I really felt like I was important to the staff and they seem to truly care about my health. I left my first visit not only with relief from my back pain but also with peace of mind that i was in good hands. They truly take patients to the next level. I have several family members that see Dr. Waters. I am being treated at this time for back problems. I have never seen a Chiropractor before so I was skeptical at first but I have seen a difference in just 7 visits. I have faith that this will heal. How can we help? Call us at (972) 771-3388!